Raisur Rahman’s high school friends questioned his career choice. After all, he had come from a family of “professionals” in India. His father was a scientist, both of his brothers are attorneys, and he has an uncle who worked as an accountant. So what in the world was Rahman thinking by passing up a prestigious career in perhaps law or medicine to teach history to college students? While his family supported his decision, it didn’t make sense to his friends around town. Over the years Rahman’s quest for “self and global citizenship” through the study of history has taken him around the world. He has dug through libraries, basements, and the once flourishing communities known as qasbahs that have all but disappeared from India’s landscape. Rahman now occupies an office inside Tribble Hall, where he meets with students whose exposure to Indian culture might not extend far beyond yoga and Hinduism. However, he has found that this generation is interested in India’s history and place in the global economy. Now in his 10th year at WFU, Rahman has taught classes on the history and culture of India as viewed through the bright lens of Bollywood films, known for their colorful costumes and elaborate song-and-dance routines. “I think Bollywood is a very good hook to let somebody enter the world of cultures that India has to offer,” said Rahman, who experienced a culture shock when he left his home in New Delhi to get a Ph.D. in History from the University of Texas. 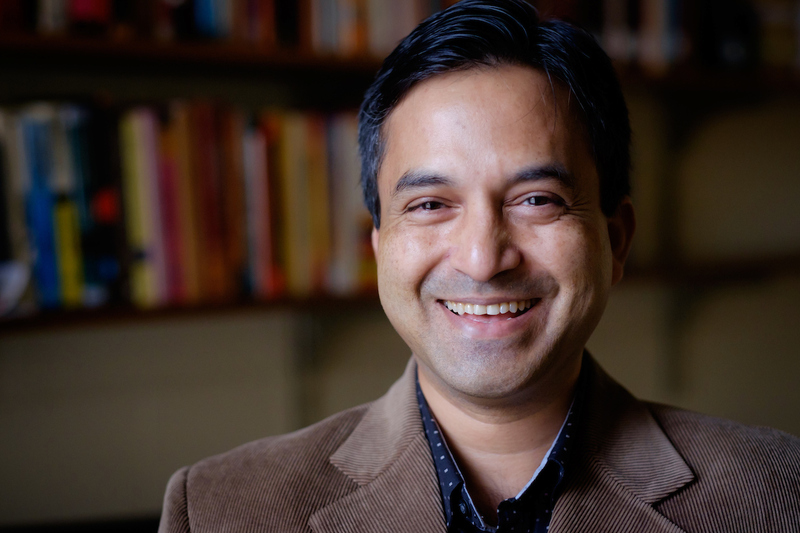 Rahman isn’t teaching any classes this academic year while on sabbatical to gather more research for his second book, which focuses on the role that Muslim families had in turning Bombay into a cosmopolitan city. Rahman started the project several years ago as he was wrapping up Locale, Everyday Islam, and Modernity, which was published in 2015 and sparked a national discussion in India about the largely forgotten qasbahs. Smaller than towns but bigger than villages, qasbahs were considered intellectual hubs in South Asia in the late nineteenth and early twentieth centuries before families moved to large Indian cities and Pakistan. Rahman developed a passion for the liberal arts in high school. He then found a mentor in Joseph van Troy, a Belgian Jesuit priest who sparked in Rahman a desire to investigate history as an undergraduate student at St. Xavier’s College in India. Soon afterward, Rahman was working on his Master’s degree at Jawaharlal Nehru University in New Delhi when he came across a small section buried in a 552-page book that shaped his research. As part of his coursework, Rahman read Rulers, Townsmen and Bazaars by Cambridge historian Christopher Bayly. Rahman wasn’t familiar with qasbahs having grown up in a “small” Indian city with a population of 2 million people. Indian families used to feel a close connection to their qasbah, so much so they’d take the name of their qasbah as their last names. It was only fitting then that Rahman would want to properly thank his parents in his book about qasbahs. “They gave me the absolute support to pursue a liberal arts education and a career in history when most parents in our setting sought the reassurance of a more remunerative profession for their children,” Rahman writes.